With a strong development platform and four production sites, AMEGA Biotech develops and produces biosimilars. Exporting recombinant proteins worldwide and focused on central markets registrations, AMEGA Biotech is the leading regional producer. Our work and vision are directed forward. Our production model is based on a comprehensive design and integration of all the processes involved in the production of high quality and high technology products. This competitive advantage allows us to face the present and future challenges of a dynamic field. We contribute to the future of biotechnology by understanding its high impact on society and its benefits on human health. Through constant research and innovation, based on ethics and a responsible attitude, we seek to consolidate the leadership of our biosimilar products, from Active Pharmaceutical Ingredient to Finished Dosage Form. This new vision enables AMEGA Biotech to access markets such as Latin America, MENA, Turkey, Southeast Asia, Russia, Ukraine. AMEGA Biotech is a pharmaceutical company dedicated to the research, development and production of high quality and reliable biosimilar products for human health. In AMEGA Biotech we are based on four values that define the way we work and the way we interact, at a professional and personal level, both inside and outside the company: adaptability, innovation, commitment, personal development. We adapt to change and market needs, using the necessary resources to achieve our objectives. Each of our products was developed and produced by innovative technology but, above all, by enthusiastic and inspiring people. In order to achieve full development of our people, we encourage trust and good relations as the basis for achieving a sound and attractive environment making working days enjoyable. 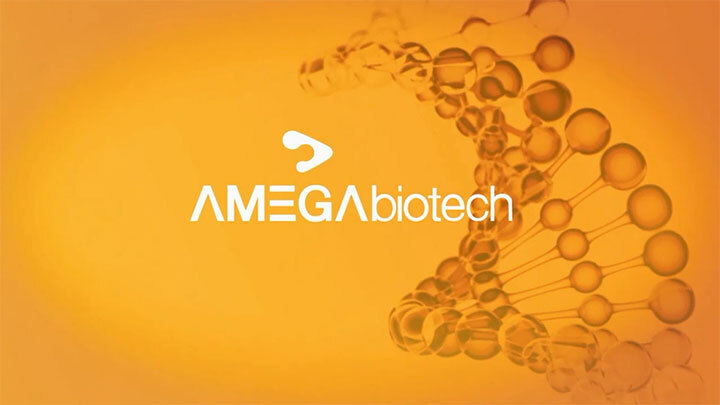 AMEGA Biotech has fully integrated its development and production operations, controlling the process all the way from clone selection to the production of the purified protein and the formulation of the finished product. This advantage allows our organization to offer its customers added value through our integrated value chain, with the guarantee of the origin and consistent quality of its products. Development, production, purifcation, characterization and testing of a broad range of recombinant products. Generation of Master Cell Bank and Working Cell Bank. Development of technologies for sustained-release biopharmaceuticals. Established network of partners with cGMP approved facilities allowing access to world markets. Access to world markets through strategic alliances with local distributors. Careful selection of potential distributors to create long standing partnerships. Our organization has set precedent for a dynamic development model that is able to control all the processes in the biopharmaceutical production chain as well as quality assurance, from the Active Pharmaceutical Ingredient (API) to the Finished Dosage Form (FDF). We firmly believe that our people are the most important asset and guarantee for the successful achievements of our goals. AMEGA Biotech combines the best-qualited professionals and scientists in the field and designs skillful and creative working teams that share our vision and values. This highly qualited resource is the key engine in our contribution to biotechnology and in our pursuit of improving people’s quality of life. Our team includes experienced scientists, many of which are bearing PhD degrees. Their solid trajectory certifies the expertise in a broad range of cell cultures such as CHO, E-coli, BHK and yeast cells.